Continuing to investigate the periodic table of elements, 2nd & 3rd Graders have been busy looking into the relative abundance of the elements found in: the earth’s crust, inside us, and in the universe. Their bar graphing capabilities have gotten quite proficient! 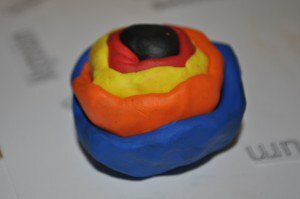 Students also created models of the earth, representing each layer with a different color of clay. 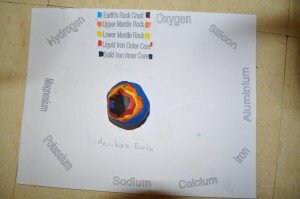 They started with black for the solid iron core, followed by a red layer for the liquid iron outer core, yellow for the lower mantle rock, orange for the upper mantle rock, and finally blue for the ocean and brown for the earth’s crust.